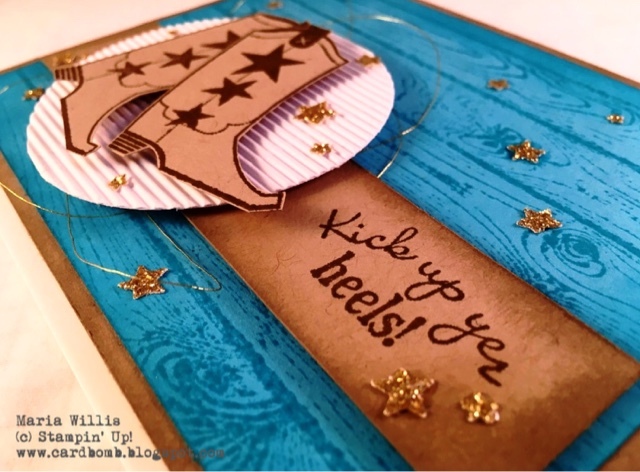 Cardbomb: Wedding Card for Erica! Yesterday was an exciting day! My niece, Erica, got married! A little birdie told me that her bridesmaids would all be wearing cow"boy" boots with their teal dresses-so cute! I wanted her wedding card to be fun and match her beautiful country wedding so I knew I had to come up with something special. 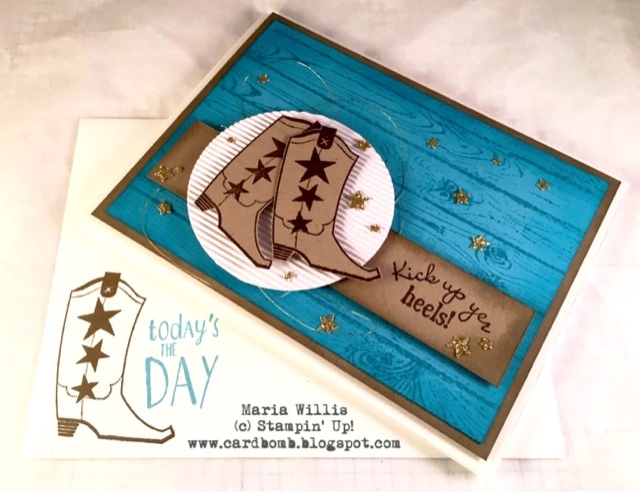 I used the retired Bootiful Occasions stamp set, The HardwoodBackground Stamp, and, the Star Confetti punch to put together this card. I sure hope she loves it! I upped the fancy factor by adding gold glimmer stars and some twirls of gold thread. I also love the extra bit of texture that the corrugated paper gives this card. I did sponging on every layer of this card, popped everything up with dimensionals and made a matching envelope. I hope Erica will love her card, but, more importantly, I wish her and her new husband a life full of happiness and joy together! Have a wonderful weekend everybody! I will be back tomorrow with the team from What Will You Stamp. Keep an eye out for lots of fun posts this week. 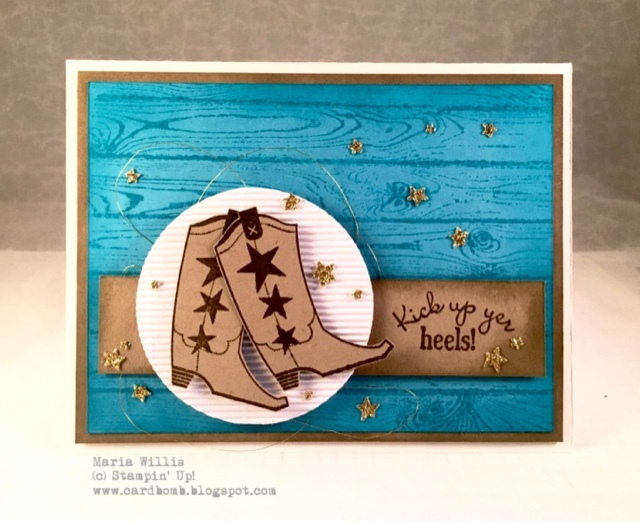 I'm getting ready to hop a plane to San Diego on Friday to join some awesome people for the first ever Stampin' Up! On Stage event! I can't wait! Are any of you going? If so, I hope I will get to meet some of you! Back to the craft room with me! By for now.